Penny for your thoughts: Kurd/ ISIS Symbiosis - The Impending Destruction of Turkey. Kurd/ ISIS Symbiosis - The Impending Destruction of Turkey. Back in August 2014- ISIS took Mosul and then the Kurds took it back, including that all important dam! The Kurds also kicked ISIS to the curb in Sinjar. Allegedly. I’m going to be straight up- The Yazidi narrative? I don’t find it credible. I find it convenient. But, not credible. *Why on earth would the Yazidi’s who are Kurds, however that is defined, head up to some mountain top on the border of Syria, when Kurdish territory is heavily guarded and virtually untouched? "The camp will be ready in one week’s time and will be operated by Iraqi Turkmens, state-run Anadolu Agency reported. Turkey had earlier set up another camp for Iraqi Turkmen in Sinjar." Sinjar where "ISIS" chased Kurds into a mountain. It was the whole Yazidi saga that really solidified in my mind the collusion between the two largely SUNNI Muslim groups (we will get to that!) ISIS and the Kurds. I actually hold the opinion that the covert NATO army, that is labelled ISIS, has Kurds within it’s ranks. Thinking of the entire Sinjar narrative. On the Iraq side of the mountain you have Kurds and ISIS going in and on the Syrian side you have lots of Kurdish fighters and ISIS, coming out? Writes Scott Ritter for Huffington Post. That can’t be a coincidence. Notice how the Kurds rely on the Israeli creation myth to justify their own nation? Though historically.... same as Israel. Their claim to the land is questionable. Just as they recognized Israel? Israel was re-established? I had no idea there ever was a nation of Israel prior to it’s creation in 1948. I thought Israel was a man, originally named Jacob? How is it Israel was "re-established"
It’s interesting, that nation destruction/re-creation precedent that was set when Israel was created. The fact that the two groups bolster one anothers narrative is obviously self serving for both groups and their interests. Both groups can choose to bolster the other, but that circular reasoning/begging the question doesn’t make Kurdish or Israeli claims true, correct or factual. It just makes them their claims. So a parallel history? Perhaps? But of what type? Say, what? "Kurds are now largely Sunni Muslims"
Kurds are now largely Sunni Muslims? So is ISIS. Wow!!! We know Israel is very chummy with many a Sunni Muslim- We know Israel is chummy with NATO mercs, who are Sunni Muslim. We know that Israel is chummy with the Kurds who are mostly Sunni Muslim. Six of one/half a dozen of the other? Last week there was an article in WSJ One of many in the WSJ, but this one really caught my attention. Pretty sure the last time was in this post? Oh, does anyone find it odd that the US can just give another nations territory away? Anyone think that strange? Of course Israel sees this as perfectly acceptable because they were given land inhabited by other people. Northern Syria is not just occupied by Sunni Muslim Kurds. There are others resident in those areas. Do they want to live in this Utopia? Is anyone considering them? The answer to that would seem to be NO, particularly when one thinks of Palestine. That all said, it seems this is going to be an easy land grab for the sunni muslim brand kurds. Because it is a repeating pattern. Mosul, Sinjar and Kobane/i. And all that US/Israeli/NATO assistance. 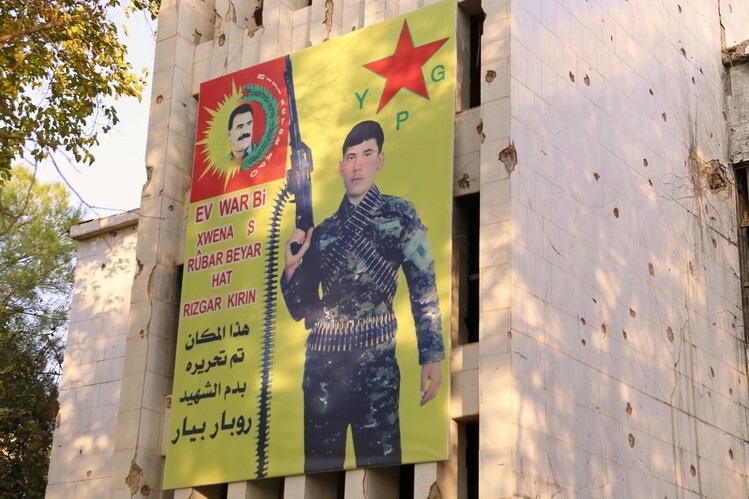 RAS AL-AIN, Syria—A billboard of a 19-year-old Kurdish fighter brandishing a machine gun covers part of a bullet-marked building that once housed Syrian government offices. The building is abandoned and its officials long gone. Hussein Kocher, the 40-year-old local commander of the People's Protection Units, or YPG, in his makeshift command center in Ras al-Ain, Syria. His group wants to assist the U.S. in battling Islamic State in exchange for recognition of their control of towns and village in largely Kurdish areas of northern Syria. Control of this town now belongs to a Kurdish paramilitary force that boasts of having more than 30,000 fighters ready to help the U.S. and its allies drive Islamic State and other militants from a broad stretch of northern Syria. The force belongs to the same Kurdish group defending embattled Kobani with the assistance of U.S. airstrikes. “One of the many political complications facing the U.S. in the arrangement is that these Kurdish fighters—an offshoot of a group designated by the U.S. and Turkey as a terror organization—want to keep control of the territory they have seized to create their own vision of a utopian society. So the Kurd brand of Sunni Muslim seized territory and is protected but the ISIS brand of Sunni Muslim seizes territory and must be thwarted?? Am I the only one who sees this as perception management or hiding in plain sight? The YPG/PKK have committed acts of terrorism on many occasion in Turkey. Hence the designation. In reality the PKK appears to have always functioned as a stay behind army. A NATO Stay Behind army. Always at the ready to keep Turkey in check. The PKK continued to demonstrate its nationwide reach with typical tactics and techniques that included ambushes of military patrols in the countryside, improvised explosive devices (IEDs) along known military or police routes and bombings of both security and civilian targets in urban areas. It seems terrorism does have it's rewards. At least for the PKK. So, what does that suggest to us about the backers of the PKK? 3- The leader of the PKK stinks to high heaven of a CIA/NATO asset. The man at the forefront of the PKK stay behind has always been Ocalan- He has been ensconced safely in the embrace of the Turkish deep state and the CIA- Imprisoned but influential still. “The PKK leader Abdullah Ocalan was captured by the Central Intelligence Agency and Turkish security forces in 1999. He remains in prison but his influence over followers, including YPG fighters, is unbroken. How is it that Ocalan can threaten an overthrow of the Turkish government while being held allegedly like a criminal, and get away with it? Clearly he is protected as he visits with influential Kurdish politicians from his 'prison cell" So, connected to 'all the right people'? YUP! Like I said PKK/YPG = Left behind army or Gladio if you please? “YPG/PKK commanders and senior political leaders affiliated with the group said they were eager to join the U.S.-led coalition against Islamic State in return for recognition and support from Washington and its allies for the Kurdish-dominated self-rule administrations they have established in northern Syria. The ruling groups have already set up courts, passed laws and tapped oil revenues in the region, which is also populated by Syrian Arabs and Christians. Since we KNOW that the US is not sharing intelligence or coordinating airstrikes with the elected Syrian government, we can be dam sure that the US is colluding with a designated terror group. “After similar battles, the YPG and its political affiliates this year declared three self-rule administrations, or cantons as they call them, in northern Syria: Afreen, in the northwest, near the city of Aleppo; Kobani; and Jazeera in the northeast, which encompasses Ras al-Ain and the city of Qamishli. Their goal is to connect all three. Recall that latest attack on Khorasan? Where did it take place? Were you paying attention? US strikes Khorosan in Syria near the town of Samarda. Samarda appears to be very near Afrin, going in a southern direction Is the US softening targets in advance of a PKK onslaught? Sarmada. Location, Location, Location? In fact look at the airstrikes along the Northern border of Syria? The fight against ISIS looks very much like assistance for a terror groups land grab. Kosovo? The KLA? Hashim Thaci? Ringing any bells? Noting any similarities? Some residents worry about YPG control. “Their goal is to hold the ground at any cost and by any means,” said Asem Hasan, a 39-year-old schoolteacher from Qamishli. Well, lets face it- the YPG/PKK is at it's heart a terrorist organization created as a destabilizing force/Stay Behind style. So they are not going to be nice fellows. Interestingly the Kurds have been meeting with US officials in Berlin and Baghdad. "Mr. Omar said he and other YPG officials carried that message to U.S. diplomats during meetings in Berlin this summer and in Baghdad in September. Mr. Omar said he pressed U.S. officials during these meetings to support the Kurds’ self-rule administrations, which employ executive, legislative and judiciary councils that include seats for Arabs, local minorities and women. “We basically told them ‘We are ready to work with you if you want to root out ISIS in Syria and you must coordinate with someone on the ground,’ ” Mr. Omar said. U.S. officials declined to comment on the meetings in Baghdad and Berlin. The State Department confirmed an Oct. 12 meeting between the special envoy to Syria, Daniel Rubinstein, and Saleh Muslim, leader of the main political party affiliated with the YPG. Meetings in September and October- That tells us all that there has been planning or conspiring!! 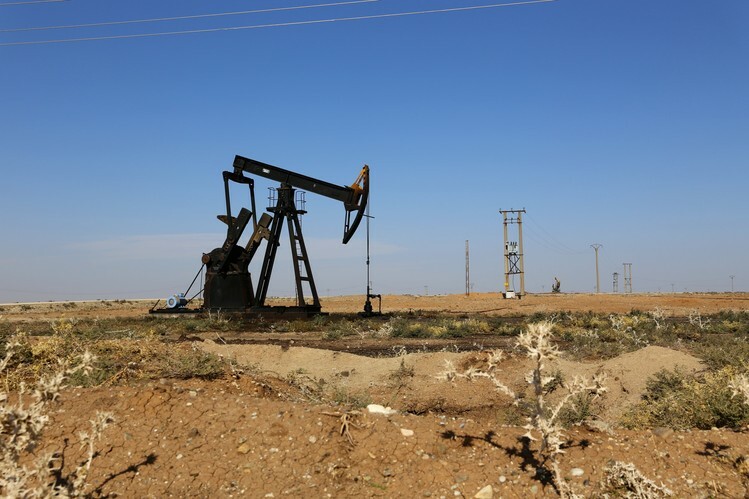 YPG military bases dot the oil fields around Rumailan, about 60 miles east of Qamishli, where about 40,000 barrels a day are produced—the group’s chief source of revenue. Some of the output goes to traders affiliated with the Syrian regime, said Suleiman Khalaf, who holds a post equivalent to that of oil minister in the local administration. In the early 2000's when I was posting on the NYT Afghanistan forum...there were some Israeli shills who posted regularly as well. They always promoted the "dividing Iraq into three parts" with Kurdistan being an independent country in the north. I didn't understand why until later when the pipeline issue became clear. Israel and the Kurds are in the oil bidness together and want a pipeline through Kurdistan to Israel...don't ask me the details of this as I never followed it that closely. All I can say is that this was Plan A from the very beginning...even pre 9/11. I spent enough time reading about them as I have done varying posts and just haven't come away with the idea of a people needing a nation- It just seems as if a bunch of Sunni Muslims banded together, or were placed together and branded as "kurds"
Great post, Penny! Maybe will have more time to post/comment later but really informative. Yup, so with the creation of Kurdistan - either formally or informally (meaning without set borders but de facto boundaries a la Israel) both the Zionist West and the apartheid genocidal state of Israel realize long-sought goals - ie., Yinon, PNAC, Clean Break, etc etc. And all under the plausible deniability of "it's just for the Kurds" etc. How clever. It's a pattern and I find it so freakin' hard to believe I am the only one seeing this???!!! I haven't seen it written as such anywhere else? 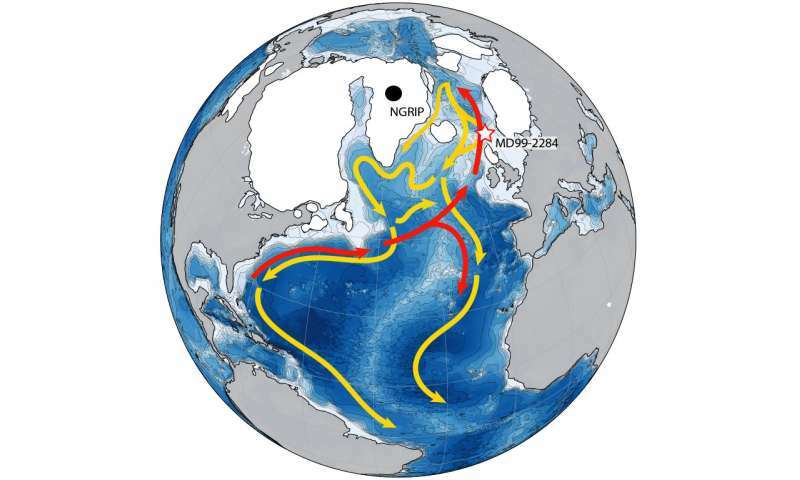 And btw it took me days and days to work on this- never mind just the thought processes! I saw the link you left for me over at Ziad's place- can you leave it here for others to read if they are interested? Haaretz reporting on the offensive along the buffer zone. Wink. Saudi fm to Russia tomorrow while kings son is in DC discussing his national guard, the latest isis threats, us troop deployments in Anbar and the Iran situation which oddly finds Iran courti ng the Saudis to broker a deal in exhale for Lebanon presidency per reports. With western media banging the Saudi and us collusion against Russia drum watch what comes out of that meeting. Seems once again that the right hand may be talking past the left . Days ago yemen former strong man Saleh called the spring a us and Israeli operation. Today as the new us ambassador to Russia presented himself Putin took to the Mike on color revolution and a coming crackdown not that the ongoi ng social and media changes aren't indication enough. Ditto Saudi arabia and the he and mufti calling twitter evil. Recall us refused Saleh request to travel to us for burn treatment. Them he " escaped" from Saudi imposed exile and returned home. Recap. American contractor killed in Saudi the reported pipeline explosion then sectarian attack. Days ago a g cc meeting that apparently smooth s over the Qatar differences while Bahrain is calling for enhance Russia ties. Egypt just got on board the g cc agreement as a major debt payment is coming due with qatar. Qatar just did a deal with china. So was the Qatar and China swap deal another manifestation of the ongoing fracturing of legacy ties (us and australia lng exports)or London calling on its reliable bailout fund to host an extension of the recent Boe and pic swap and cleari ng deals? Was that qatar power transition last year about setting up the next Gen.? Fort Carson Troops Will Deploy to Ukraine?